A far-right campaign to ban minarets construction in Switzerland is part of a broader scheme to target the Muslim presence in the European country, Muslim leaders warn. "We are defending our identity as symbolized by the minarets," Hisham Maizar, president of the Federation of Islamic Organizations in Switzerland, told IslamOnline.net over the phone from Bern. People will vote on November 29 on a referendum spearheaded by the far-right Swiss People’s Party (SVP) to ban the building of new minarets in the European country. The SVP claims minarets are a symbol of Shariah and are thus incompatible with the Swiss legal system. The proposed ban has caused an outcry in Switzerland, with the government denouncing it as unconstitutional and discriminatory. The country's Roman Catholic bishops have urged voters to reject the proposed minaret ban. "I’m confident the Swiss people will vote the minaret ban down," says Maizer. Amnesty International has blasted the ban, warning the drive aims to exploit fears of Muslims and encourage xenophobia for political gains. Islam is the second religion in the country after Christianity and Switzerland is home to more than 350,000 Muslims. Across the country, there are only four mosques with minarets. Muslim leaders fear the minaret ban would only be the first step to undermine their presence in Switzerland. 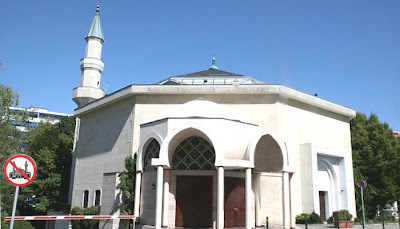 "The minaret ban is the first step to ban mosques and restrict Muslim presence in Switzerland." The Muslim leader insists that the right-wing has never made secret of its larger anti-Muslim agenda, citing a meeting two years ago with far-right leaders. "I asked them if they would have other demands if the minarets were banned," he recalled. "They answered 'Yes, We have problems with Islam and Muslims and we would discuss them later'. "They stressed that the ban campaign would be the first step for them." Adel Al-Magari, the head of the Swiss Muslim League, said the law grants all citizens, Muslims and non-Muslims alike, the right to celebrate their religious identity. "How come they (right-wing) want to deny Muslims a right enshrined in the Constitution?" Magari vowed that Swiss Muslims would continue to defend their religious and cultural identity. "But at the same time we are keen on maintaining their country’s security, social peace and co-existence." why the hell they cant build there goddamn minarets? freedamn of religion is it not? i say if u have a damn religion keep it to yourself dont build damn any!! showof buildings to force your religion , god is everywhere right? Congratulations Switzerland...now deport the muslims before they deport you, or worse!